“A timer?” You might find yourself asking. Yes, the humble stopwatch or timer is one of the most underrated tools you can use in your physical training. “Why?” you might ask yourself. There’s really two reasons. The first is that timing yourself gives you a concrete goal to work for, and studies have shown that when there is a quantitative, measurable goal that is targeted (not just in fitness, but in anything that can be quantified, be it business or studies or hobbies), it is easier to reach that target. The second is, admittedly, pretty related to the first one: Namely that, as I have discussed before, willpower is a virtual “muscle” that can be trained just as the actual skeletal muscles can be trained. Therefore, doing timed exercises and increasing the time for each exercise can train the willpower in addition to training whatever muscles are being trained during said exercise. You can use it either as a stop watch to adjudicate your speed—ie: running the time down to 0—or you can use it to measure a maximal amount of time, to see how long you can do a certain exercise. 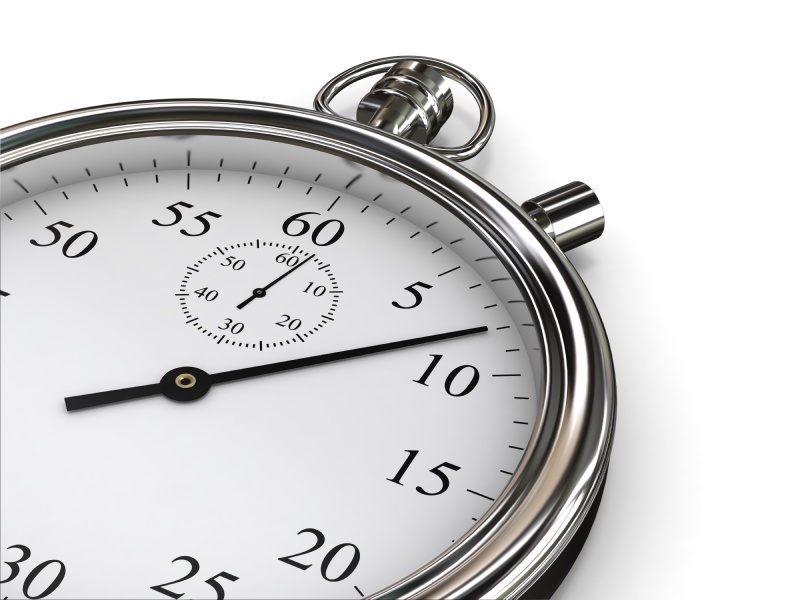 Having used timers for both goals, I can say that it doesn’t exactly take a genius to figure out one exercise you use a stop watch for–running, both in terms of sprinting and distance running. However, there’s really not much instruction you can give for running—at least, not as much as there is for resistance training, so I doubt you need me to tell you to put one foot in front of the other. Instead, I will give you three resistance exercises that are typically done as static holds, that can be timed for purposes of training both muscular endurance and mental endurance (and another term for the latter is, of course, willpower). One of the fundamentals of kung fu practice, the horse stance is also used as a judge of hip flexibility and, in certain occasions, as a method of corporal punishment in Asian countries for one simple reason—it’s painful! Keeping the back straight and the arms fully extended in front of the chest, bend the legs down so that the knees and hips are equal, and the thighs are parallel. The key is to keep the chest high and the arms straight out, bending at the waist takes some of the pressure off the legs and can be used to cheat. 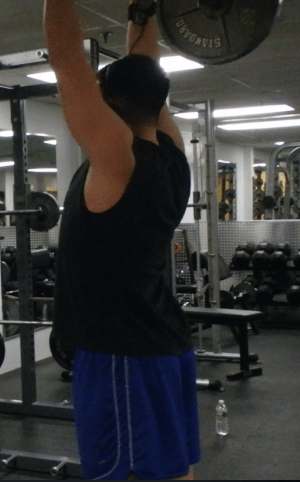 The only weighted exercise in this article, the overhead press can be held for extended periods of time to strengthen the endurance of the shoulders. You can combine this with a farmer’s walk to strengthen the core as well. Be careful that you don’t do this with the same weight that your maximum overhead press is done with, as that might risk injury. You all know my love of bridging, and the neck bridge is no exception. Doing so is a very uncomfortable position, which makes it optimal for training your willpower. In addition, strengthening the neck makes you less susceptible to blows to the head, as illustrated by how many boxers and martial artists do neck bridging to strengthen their “chins”. All of these exercises can be done with a timer, and these elements can be combined to improve your overall fitness. Easily one of the best anime of its kind. The early character development episodes were the best of the series. History’s Strongest Disciple Kenichi. The manga ended a little over a year ago but the anime is about 50 episodes with 8 or so OVA’s that try to bridge the series for manga followers. Definitely captures the absence of a masculine arc as well as the rewards reaped for seeking one. I always use a timer when lifting. It is essential to keep track of resting times, calisthenics times and timely terminate conversations with people who want to distract me. I wonder if there’s an app that fakes an incoming call. There is. It’s called getting in debt to a student loan agency that uses bots. See, I’m lucky like that. Nobody ever wants to talk to me. Resting times. I work out at home but on business travel I’m the only person I’ve ever seen lifting in a gym with a stopwatch. Also been doing some kettlebell routines. Great middle of the day stress relieving workout. That’s actually really impressive.. funny.. but really impressive. Talk about greuling. A timer is very important to reach your goals if you have particular goals or do particular kinds of workouts. In my massive volume training I do not use a timer. My timer between sets is my body and its recovery time. Diet is one of the biggest things that most guys ignore in getting fit. Lot of guys like buying protein powders and supplements. Really if you are not eating right, you won’t gain much. That and a steak tastes a lot better than some whey powder made with some artificial sweetener. I’ll let you know when I need advice from some fucked loser who can’t get a girlfriend.